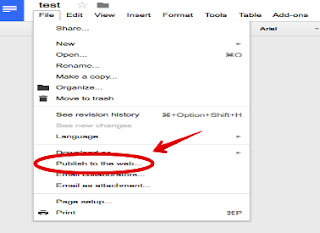 Google Docs is a powerful word editor that you can use to work on your writing projects. It has almost all the features premium editors have and is completely free. With the latest addition of Outline, you can now work on lengthy documents and with a single click have all the headings and sub-headings organized in a neat outline. However, the thing with documents created via Google Docs is that when you publish them online they sometimes look ugly especially if your doc has visuals in it. To overcome this problem, Google Doc Publisher has the answer. Google Doc Publisher is a web tool that enables you to publish your Google documents in a good looking format. This tool is completely free and very simple to use. You simply grab the URL of your Google Doc and paste it in Google Doc Publisher and you will be provided with a new URL for your document to share with others. 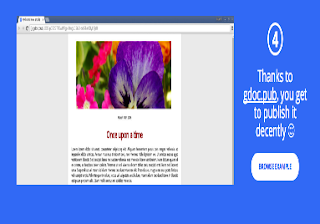 Check out this example of a document enhanced by Google Doc Publisher.